Jürgen Müller, b. 1948 in Hamburg, Germany. 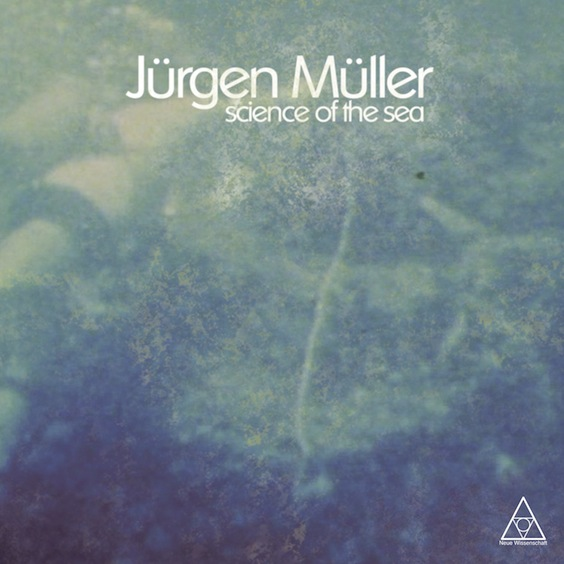 Jürgen Müller was a self-taught amateur musician who, while studying oceanic science at the University of Kiel, purchased some electronic instruments and set up a mobile studio on his house boat, docked along the town of Heikendorf, on the North Sea. He held a life-long fascination with the ocean, the expansive and endless inner-space of the deep, where he felt many ecological miracles had yet to be discovered, and which kindled a love for the unknown. This love of all things nautical started early in his youth and eventually led him to study the oceanic sciences. For one week in 1979 Jürgen took up with a film crew on a mission to document some sea-water toxicity testing that was being performed by a couple of notable biologists, only a few kilometers off the shore. This was to air as a special later to be viewed in universities. Jürgen went to take notes for a course, but soon found himself instead moved by the surroundings more in an artistically inspired sense than a scientific one. He found the mystery and romance of the great seas to be quite moving, and then decided rather abruptly that he would make music to capture this feeling. Utilizing only a handful of barely-remembered childhood piano lessons, Jürgen set about creating his marine-influenced vignettes with some electronic instruments he had gathered through friends, as well as borrowing some new equipment from a local school’s music department. As a general music lover, earlier in the ’70s he had taken note of several avant garde electronic composers who he felt simultaneously captured a purity of sound and sense of wonder that was lacking in other music. He dreamt of fusing this ideal with the synthetic recreations of nature. In a sense, one could say he stumbled onto an early “new age” aesthetic through pure ignorance and coincidence. Mixing relaxing ambient tones and spooky otherworldly sounds, he came up with a unique approach. After filling several reels of home recordings he held ambitions of becoming a film composer. He decided to start his own publishing company, Neue Wissenschaft, and hoped to compose albums in order to sell as production music to various film companies for use in documentaries and television programs. As he was simultaneously hard at work on his studies to finish school, he had to work on his music in short intervals, and often had to put it aside altogether. As a result, it took several years for him to actually realize his sole full-length recording, ‘Science of the Sea’, the sessions for which began in late 1981, before finishing a year later. Less than 100 copies were pressed, and few of them were even sent out to potential clients. Most copies were eventually given to friends and family. Jürgen’s musical gamble never quite paid off as he had hoped, and without any outside interest or connections in the music world, he soon abandoned any dreams of a musical existence and instead chose to further his oceanographic career. Remastered from the original tapes by Brad Rose with help from Norman Chambers.